JNN 24 Jan 2015 TAXILA: Preliminary investigation has revealed that Kosar Ali, the suicide bomber who blew himself up at a police picket in Wah on Tuesday, had been a student at the seminary in Lal Masjid. Police and other law enforcement agencies picked up seven people on Thursday in connection with incident. Those arrested were taken to an undisclosed location for further investigation. Among those arrested are two brothers of the suicide bomber. The brothers were arrested in a midnight operation conducted at their native village, Jabbi Kasran, in Fateh Jang. Kosar Ali has left behind a wife, three brothers and a sister who lives in Faisalabad. His mother told the police that he had left home some three months ago and had not been in contact with the family, including his wife, since. Police said that another brother of Kosar Ali is in Attock jail for his involvement in a murder case. Two of Kosar Ali’s brothers were construction workers while one was working as a rickshaw driver. Meanwhile, the bomber’s body has been shifted to the morgue for collection of DNA samples. It is very saddening to feel , when Pakistan Armed forces under the Great Leadership of Patriotic General Raheel Shareef are all bound to exterminate the Menace of Terrorism , sectarianism and all type of extremist elements from Pakistan. 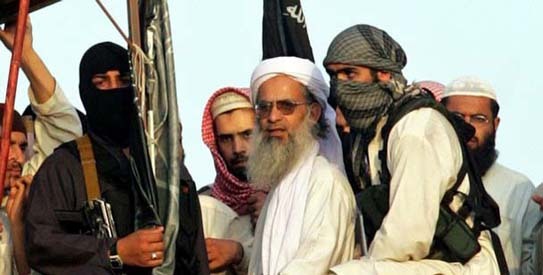 Our Political Leadership and especially the Government in Power is reluctant to take action against the Evils like Lal Masjid , as a test case the Khateeb of Lal Masjid , Abdul Aziz , whose warrants of arrest have already been issued by the slow acting Judiciary , still the administration is waiting for the orders from the Executive to take the action , and on the other hand the Spokesman and the Officially declared Agent of the Tehrik e Taliban Pakistan, Abdul Aziz , is challenging the State , rather threatening the Government , that if any action is taken against him , the consequence will be in the shape of terrorist attacks , which is tantamount to challenge the writ of the Government , But still the Government is not active , which shows its inclination and amount of will to stand against these extremist and terrorist foreign sponsored elements. Rather on the other hand there is still no change in the foreign Policy , as still relations are being developed from the Nations who have infested the seed the of terrorism and sectarianism in the country , rather when the whole of the Nation is standing shoulder to shoulder with the Defenders of Pakistan , who are all set to wash out all the mistakes of their Predecessors , due to which Our Motherland has already Bled upto a level , ahead of which the Nation can loose its integrity at any Moment . This entry was posted in Asia Pacific, Jafria, Pakistan News and tagged Islamabad, Jama Hafza, Kosar Ali, LaL Masjid, law enforcement agencies, Molana Abdul Aziz, Preliminary investigation, Suicide Bomber. Bookmark the permalink.